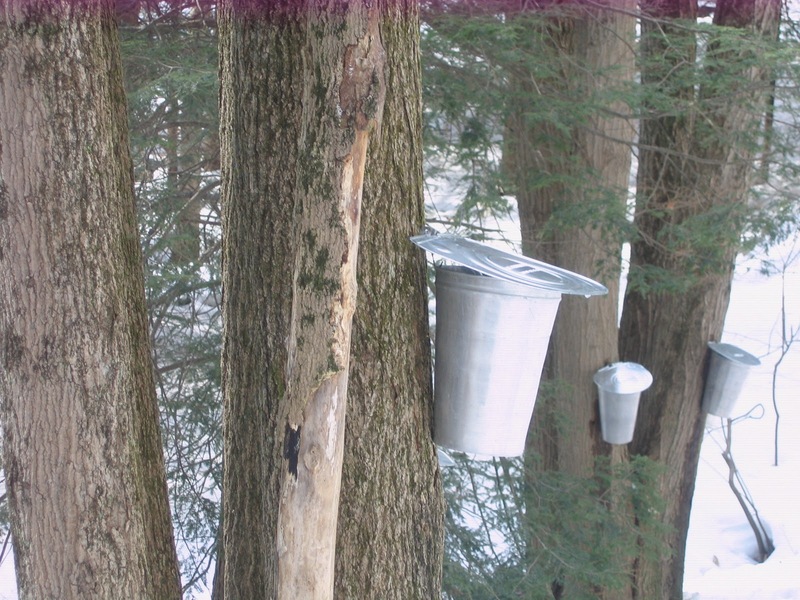 Well the Sugar Bush is alive and awaken by the maple sugaring season. The temperatures are exactly where they need to be. 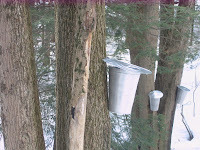 Tim has tapped 25 trees and awaits the sap to flow. In this picture to the right, is just a few of our trees. 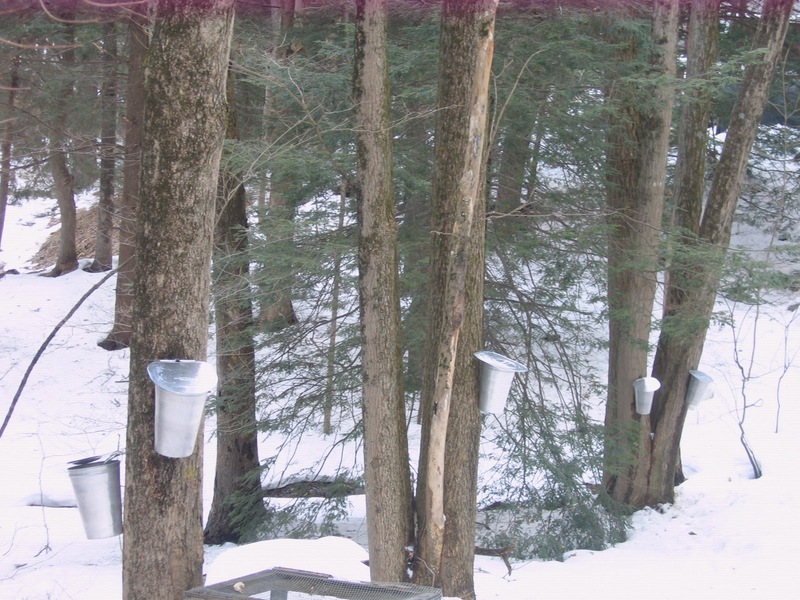 If you drive by our property you will see buckets hanging from the trees in anticipation for a good day when the sap is flowing. You need warm days and cold nights to get sap and the weather we are having is perfect for this. 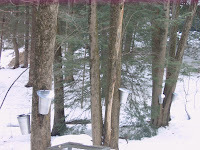 Sunny warm days are especially good days for sugaring. 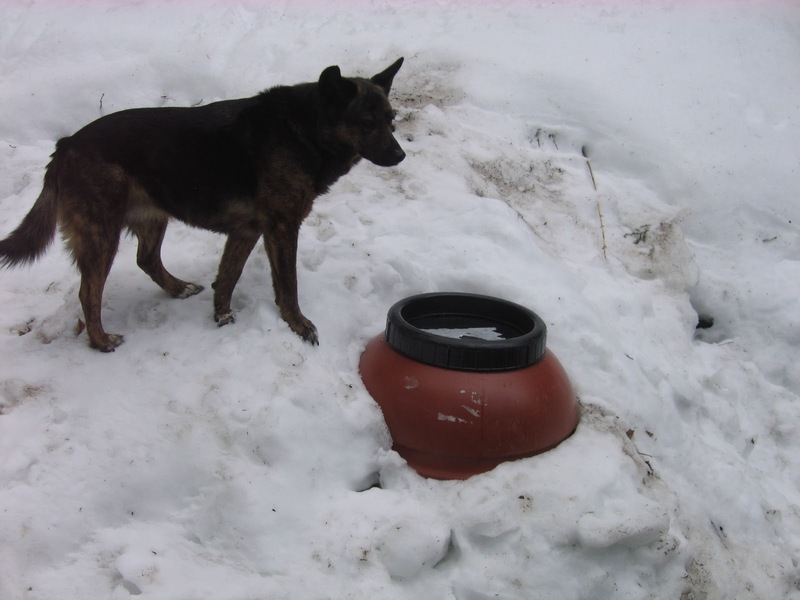 This year Tim has incorporated a 50 gallon sap storage container that he acquired from a food manufacturing company. This idea was inspired by our friend Greg (thanks Greg!). Here, our dog "Jesse" stands on the snow mound Tim created to keep his sap cold. 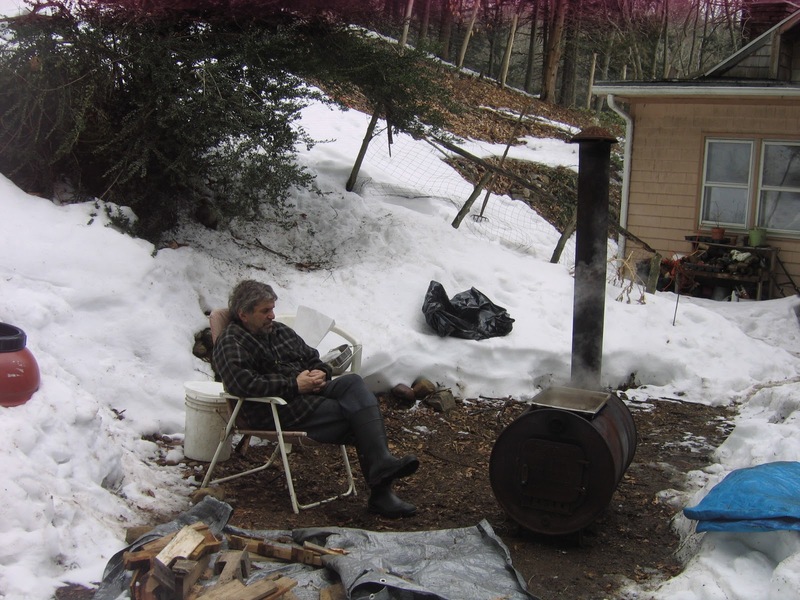 Maple Sugaring can take time and Tim is almost "Zen" while he sits and waits patiently for his sap to boil down into yummy maple syrup! All that yummy maple syrup!! Signs of Spring are upon us! Rose Petal Soap inspired by Valentine's Day!